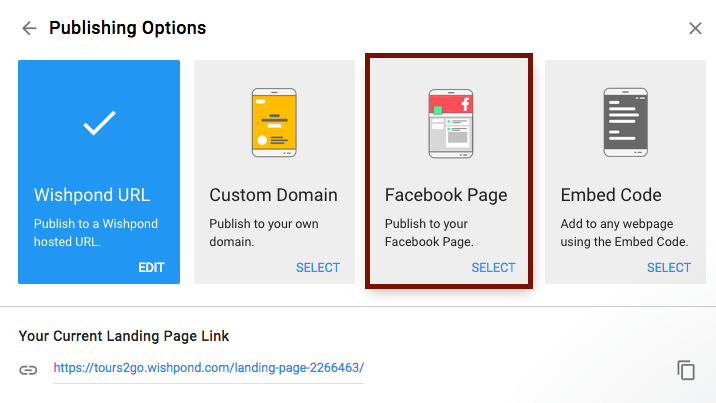 Wishpond gives you the option to publish any landing page you create on Facebook. If you choose the ‘Publish to Facebook’ option, your landing page will appear as a tab on your Facebook Page. In order for us to have access to your Facebook Page, you will need to ensure you are logged into Facebook with an account that has administrator rights to the Page you want to publish to. To find out how to get administrator access to a Facebook Page, click here. 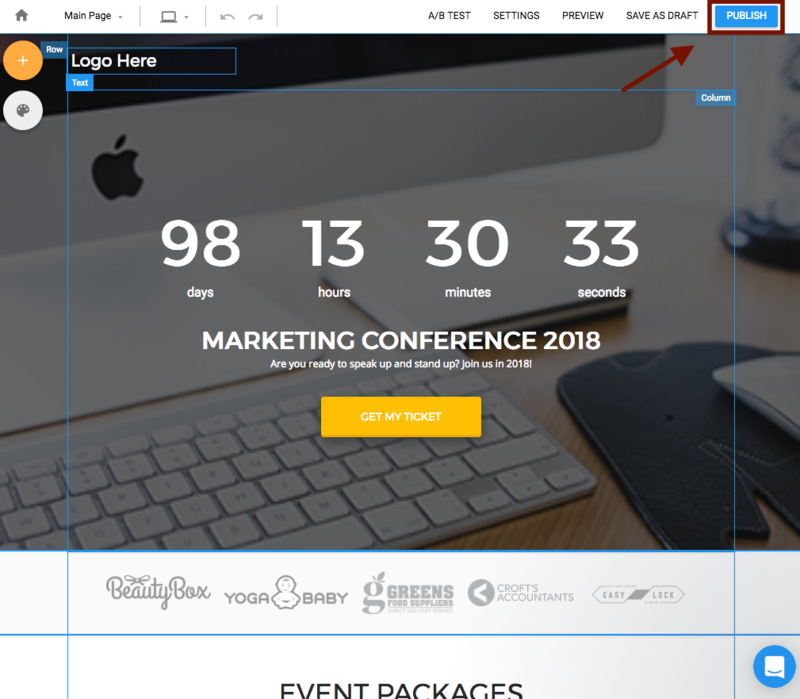 First, click the Publish button in the upper right corner of the landing page builder. 2. The campaign will automatically publish to a wishpond subdomain, to publish to Facebook click 'Edit Publishing Options'. 3. Select 'Facebook Page' from the Publishing options. 4. Once you select “Facebook Page” click on the refresh icon to connect to your Facebook account. A popup will appear asking you to log in to your personal Facebook account. 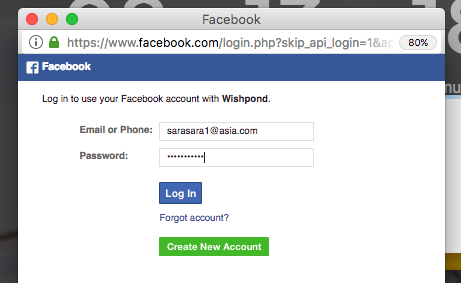 No worries, Wishpond will never post on your personal page or account. The app simply needs to connect to the personal Facebook account so that the Facebook Pages associated to that personal account can then be accessed. 4. 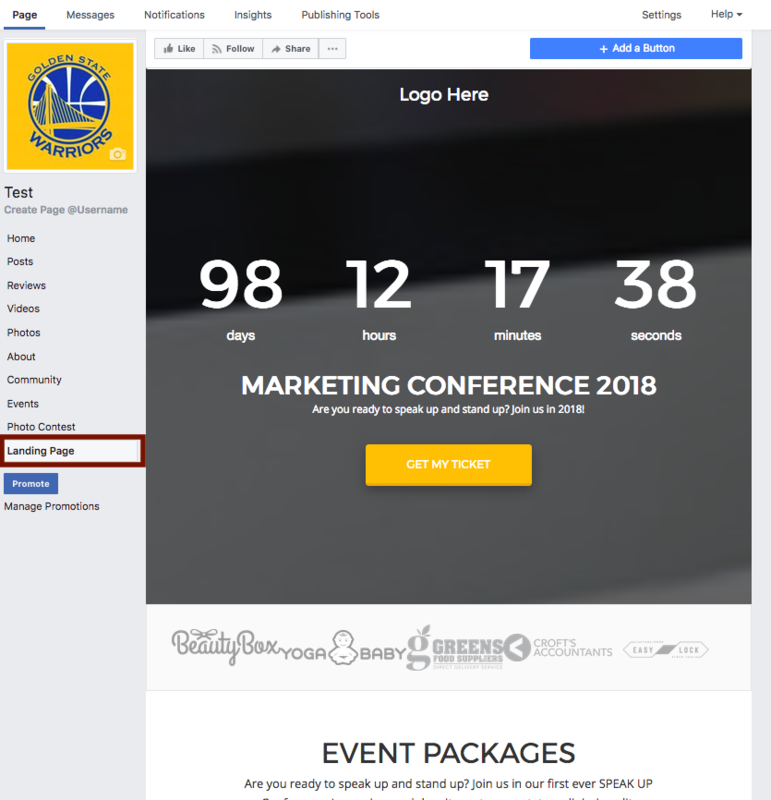 After you connect with your account a drop down menu appears with all of your Facebook pages. Click the drop down menu and select the Facebook Page you want to publish your landing page to. 6. 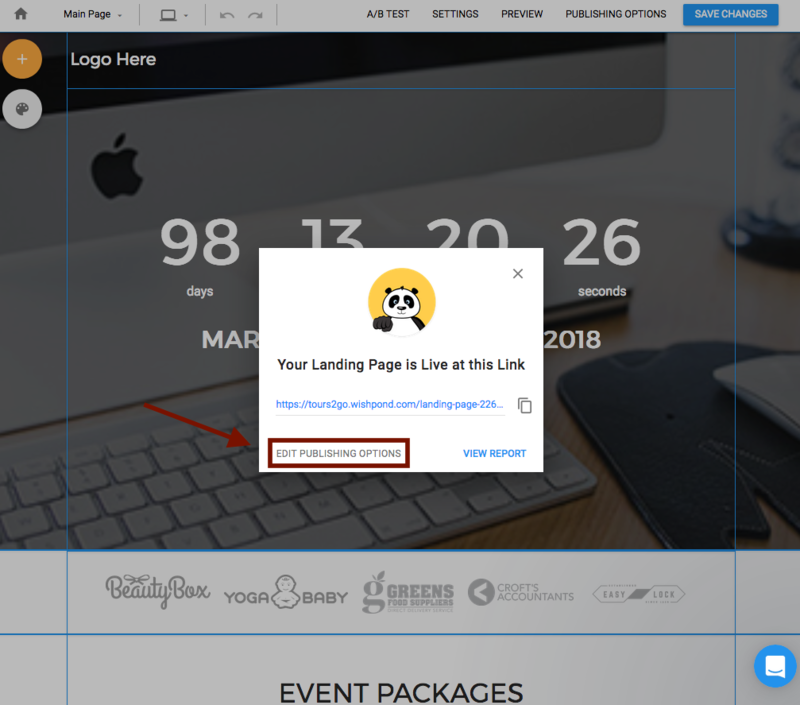 Your landing page will appear in a tab on your Facebook Page.